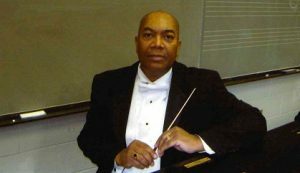 I was well-prepared for a professional career in music education and choral conducting because of the required courses, the laboratory experiences, the performance experiences, and the professors and instructors that provided a solid foundation for my after-CWRU life. My university choir performed at Carnegie Hall while I was a professor at Claflin University in Orangeburg, SC. I remain a strong advocate for the music program at CWRU. Participate in as many curricular and non-curricular opportunities to experience music as you can. I have several favorite memories from my time at CWRU. A favorite is performing Carmina Burana at Severance Hall.